The FSU has arrived at a tentative Memorandum of Agreement with the administration on parking. To move the agreement to adoption and implementation requires a vote by FSU members. This email explains the ratification voting process. Each member will receive a ballot sent by Ballotbin which is the software we use for our elections (please check your spam, junk and promotions folders in addition to your inbox for the email from Ballotbin). The email address used by Ballotbin is notices@ballotbin.com. All members will receive a single ballot where you will be given two options. One is to vote to ratify the Memorandum of Agreement and the other is not to ratify the Memorandum of Agreement. A sample ballot is attached for review. How do I make an informed decision? On November 16th, Marlene Kim, FSU President sent each member an email announcing that a tentative agreement has been reached along with details of said agreement including a link to the Memorandum of Agreement. The FSU also held two informational meetings on November 27th and 28th. Attached is the Memorandum of Agreement, the PowerPoint presentation used at the informational meetings and UMB Administration’s last best offer. If the majority of FSU members who vote choose to ratify the Memorandum of Agreement, this means that the agreed upon language is adopted and will be added to our 2017-2020 Contract and be implemented effective January 15, 2019. 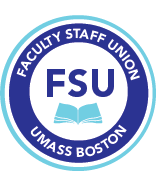 If the majority of FSU members who vote choose not to ratify the Memorandum of Agreement then the agreement will not be adopted and the bargaining team will hold a fact-finding session with a factfinder and UMB Administration on Friday, December 21st from 9AM to 5PM. Upon conclusion of the fact finding session, the factfinder will issue a recommendation. The recommendation may contain parking rates above the Memorandum of Agreement and up to and including the Administration’s final offer. Both parties, FSU and UMB Administration have to accept the factfinder’s recommendation for there to be an agreement. If both parties do not agree then UMB Administration may implement their last best offer. Voting timeline: The Elections Committee will send the ballots no later than 11AM on Friday December 7th. Voting closes at 10AM on Friday, December 14th. Voting results: The results of the vote count will be shared with the members by email no later than 4PM on December 14th.